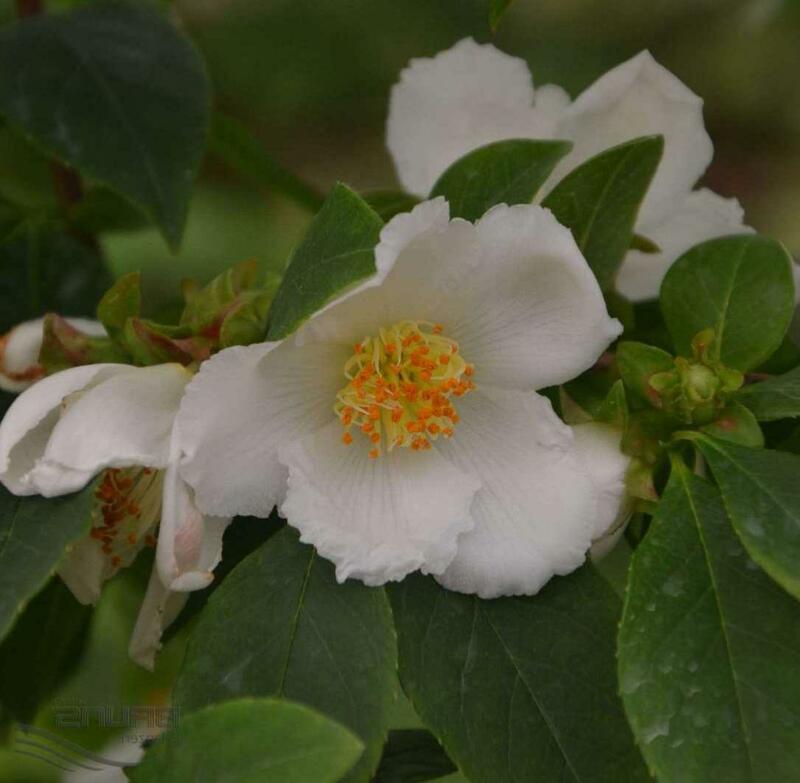 Stewartia sinensis is a choice species of the camellia or Tea family Theaceae, native to central and eastern China. It is typically a small deciduous tree or large shrub, commonly growing to about 9m (30ft) tall. 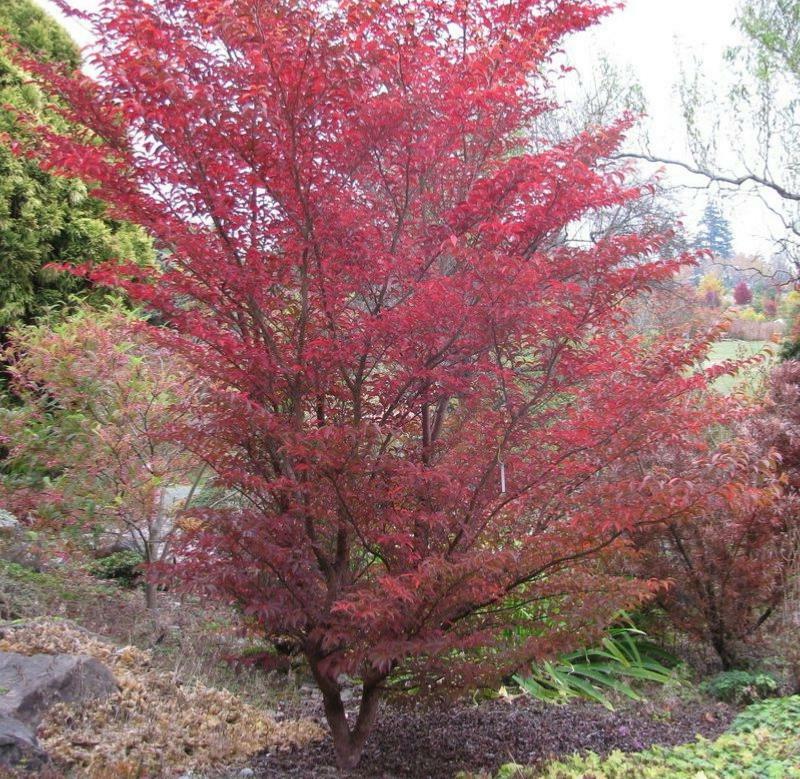 It is highly regarded horticulturally for the combination of its attractive,cinnamon-coloured peeling bark, numerous cup-shaped, fragrant white flowers to10cm (4in) in midsummer, and generally intensely red autumn foliage. The species also has an attractive multiple-branched growth habit and low maintenance requirements. 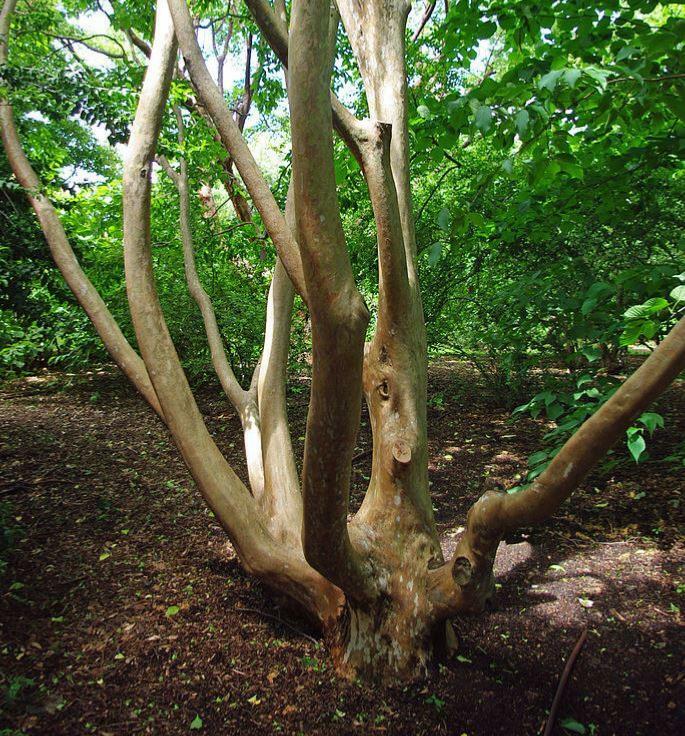 In its native forests, S. sinensis has been known to achieve a maximum height of 20m (66ft) tall by7m (23ft) broad but it generally does not achieve these proportions in cultivation, where competition for sunlight is less of a concern. Stewartias naturally occur at river streams and under the canopies of tall trees and so it prefers partial shade or filtered sunlight, and humid air. Preferring a light soil with plenty of humus, always moist, and like the closely related Camellias, an acid side of neutral soil. Pruning can be done in early spring. 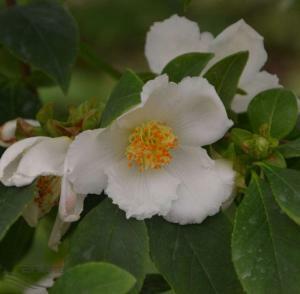 Stewartia sinensis has gained the Royal Horticultural Society’s Award of Garden Merit.